A unique solution to save mail to EML as Mail! You are here: CoolUtils > Total Mail Converter Pro > A unique solution to save mail to EML as Mail! Attachments in electronic mails often contain important information. During email export most of converters ignore attachments, processing information only from email body. 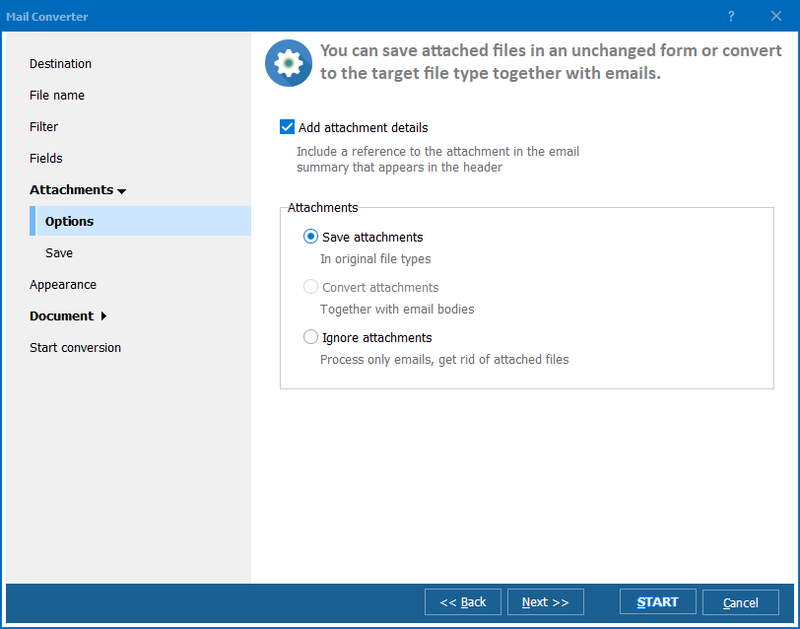 With Total Mail Converter Pro you will be able to convert mail to EML with attachments getting the fullest data copies. EML format is widely used in mail clients for storing messages. If you have mails in other formats and would like to export them to such client, conversion to EML will make it possible. This program actually can do a lot of things with the attached files. Documents and attached messages can be converted to EML similar to source emails. Attached images can be saved locally in their native format or inserted into converted mail. Media files like videos, music and others can be saved to a folder, the same as executable files and archives. Archived files can be unpacked and saved to a folder. 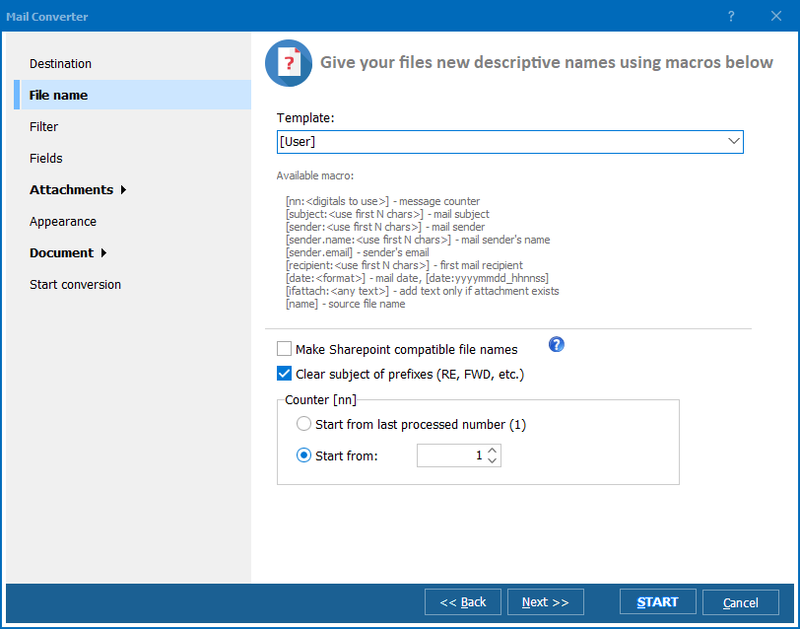 As you see, this MSG EML converter features a set of advanced functions for attachments processing, but this is only a part of advantages it brings to a user. You can export all these fields or only some of them to EML format. Just tick required ones in the settings wizard. 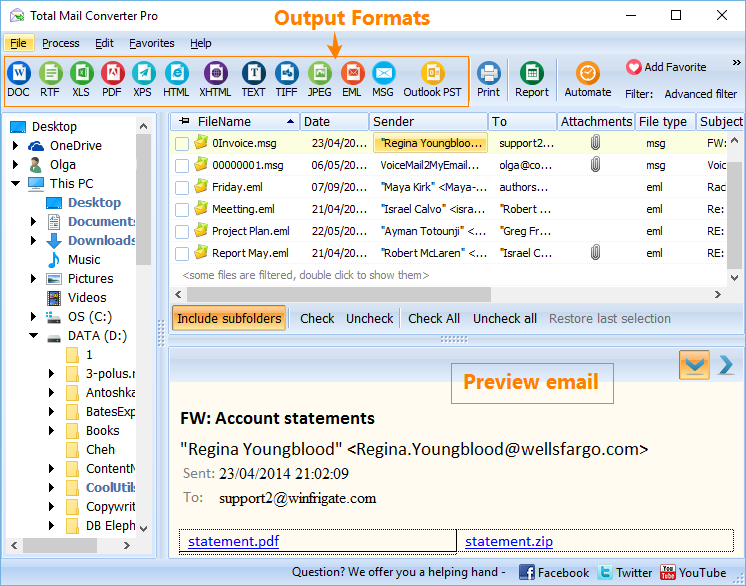 As Total Mail Converter Pro can convert MSG files to EML in batches, this option will be applied to every source MSG. Do not make the same adjustments hundreds of times. Do it once for all files, this is much less stressful. This program makes such conversions very easy and quick. 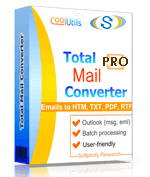 With Total Mail Converter Pro you will save your attachments from loss, while converting MSG to EML format. Download it here. Batch EML Converter with an user-friendly interface!